At The James Allen Companies, we are continuously working in earnest to help our candidates avoid the pitfalls and predicaments that threaten to undermine their attempts to further their professional success. Throughout the process, from the first resume to the first day at their new company, we leverage years of experience to help the individuals with whom we work navigate the unpredictable job market and improve their lives. Unfortunately there is one danger that stands above the others, luring too many candidates into the rocks with its siren song and forever leaving them professionally stranded: the counteroffer. We’ve written at length about the trap that is the counteroffer, but its recent resurgence has inspired us to remind our candidates of just how deceptive a counteroffer is, especially in today’s candidate-driven job market. If your goal is to advance within your career, there are few things you can do that are worse than accepting a counteroffer. Advancement requires courage. Accepting a counteroffer is hardly intrepid. A counteroffer is the quickest way to neutralize your career, ensuring nothing except that your path forward will only be more difficult. Your current employer will only see a person halfway out the door, which means opportunities for growth and promotion will be all but null. The company you turned down will no longer view you as a trustworthy option. With a tattered reputation and no viable options, the best you can hope to gain by accepting a counteroffer is maybe a little more money and only for as long as your current employer keeps you on board. The great fallacy of the counteroffer is that it is the successful result of leveraging an offer against your present employer. There is only one real winner when a counteroffer is accepted: your employer. A counteroffer buys them time. Time to use your energy and insight to resolve projects and time to find your replacement. If a counteroffer wasn’t advantageous for them, they wouldn’t extend it. And if they realized and respected your value, it shouldn’t have taken the threat of departure to earn their attention. If you think of a counteroffer as an “option,” think again. The time to vie for improving your current employment is not in the eleventh hour. No one likes to be on the receiving end of an ultimatum, especially an employer who, on top of feeling pressured, likely feels betrayed. Accepting a counteroffer is essentially pouring lighter fluid on the bridge between you and your current employer and then handing them the lighter. When the time comes (and it will) that your employer decides to ignite that bridge, you will be dismayed to discover that your relationship among recruiters and other companies has left you with little options and less opportunity. If you are seeking other opportunities only with the intention of leveraging a counteroffer, stop. Aside from the enormous waste of resources you are creating for all those involved, you are taking active steps toward destroying your career potential. If you are legitimately seeking a better opportunity, it won’t be found with your current employer. Don’t lose sight of the reasons you decided to pursue a new organization, and don’t cost yourself a better position and a greater opportunity by falling for the counteroffer trap. If you are potentially open to exploring new opportunities, a recruiter can be a valuable, if not vital, ally. The benefits of a dedicated recruiter go beyond providing access to options, which in and of itself is a hefty benefit. A quality recruiting professional can provide the resources and recommendations to help you stand apart from other applicants, and they do this at no charge to you. To provide candidates with a better understanding of how recruiters can help them, we have developed this series to present three unique perspectives of the job search and hiring process and how a recruiter can help you overcome obstacles and create opportunities. We will discuss everything from better understanding how the overall insurance market is ideal for dedicated and driven professionals to elevate their careers to the importance of communication throughout the process. 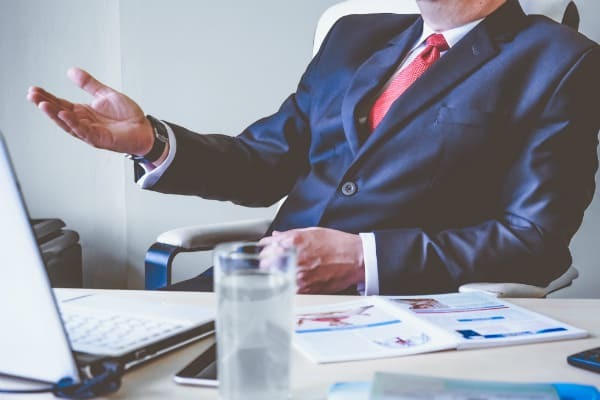 While this series does not entirely encompass the total value of a recruiter, it should provide you with a greater understanding of their necessity throughout the process. In his bestselling work The Seven Habits of Highly Effective People, Stephen Covey urged his readers to “begin with the end in mind,” and that’s what we’d like to do in this series, which is why we open with one of the final hurdles of the hiring process: counteroffers. The topic of counteroffers is an apt one because it should serve as a reminder of why you began the process, and why it is important to understand a counteroffer for what it really is. WHY ARE YOU POTENTIALLY OPEN TO A CHANGE? At The James Allen Companies, when we approach a potential candidate with an opportunity, we are interested to know what factors are important in a new opportunity. Salary is only one component but it can’t be the sole reason for considering a change. In the full spirit of disclosure, we are exceedingly hesitant to work with individuals whose only driving force is a better salary. We are looking for dedicated and driven professionals who have the vision to look beyond salary and consider other cultural and professional factors. If we feel that your aspirations and attributes are a match with our client, then we help facilitate and navigate the process. If the process culminates in an offer, then you may have to contend with a counteroffer. If a counteroffer occurs, it creates an opportunity to reflect on why you chose to seek out and accept a new position with a new company. It is also a good time to refresh yourself on the truth and consequences regarding counteroffers. Before going any further, it’s imperative to see a counteroffer for what it really is. Keep in mind that at this point you have accepted an offer from a company excited to bring you on board. The counteroffer is presented when you tender your resignation for your current company. In reality, the counteroffer is an insult, a last-ditch effort to save the company from an inconvenience. Loyalty is vital, and a counteroffer is the opposite of loyalty. It’s an act of desperation that your former employer will use to allow themselves more time to find your replacement. To accept a counteroffer is to sacrifice more than a great opportunity, but it is to sacrifice your reputation, and all for an empty gesture that will most assuredly end poorly. WHAT IF YOU ACCEPT THE COUNTEROFFER? If you were to accept a counteroffer from your current employer what can you reasonably expect to change other than your salary? If you’re lucky, nothing will change, but statistics suggest you probably won’t be that lucky. According to numerous industry reports, 70 to 80 percent of people who accept counteroffers either leave or are let go within a year. Either you discover that the same reasons that led you to seek new opportunities persist and you find yourself back on the hunt (only now, most likely, with one less option since the company whose offer you rejected in favor of the counteroffer is likely no longer interested), or your company retains you long enough so that they can seek out your replacement. Even if you are one of the 20 to 30 percent of people who make it beyond that year, how will you handle future negotiations? How do you think you will be received in future negotiations? Accepting a counteroffer doesn’t move you forward but only keeps you mired in the past. If the only way to inspire your company to reward you is through the threat of accepting a new offer, is this the kind of company in which you really have a future? You sacrifice more than just a new opportunity when you accept a counteroffer. You sacrifice your reputation with your current employer, other companies and recruiters. Ultimately, a counteroffer is never going to take into account the most important reasons for seeking out a new opportunity. A counteroffer is not going to improve your professional ambitions. It is not going to improve your career. What it should do, however, is remind you why you chose to move on in the first place, and why you’ve made the right choice. Competition in today’s job market isn’t only a concern for job seekers but for companies trying to attract top talent as well. Every interview is a two-way street where both company and candidate are looking for the best fit. Countless online directories provide compensation estimates by job description in your area, lending potential hires valuable insight to income potential. That leaves your company’s culture and values as key differentiators. You typically get three chances to present your values to each prospect, so here are the biggest things to check for with each opportunity, plus a couple of helpful hints that can take your hiring game one step further. When most people look at a large employer, they foresee a future that involves navigating internal politics and climbing a ladder that is complex but has plenty of rungs. You can use this to your benefit by noting ways your organization overcomes presuppositions, from flexible placements to progressive benefit options. Sharing these cultural benefits in your job listing and description gives the impression to prospects that you are a company who is willing to provide the freedoms that studies from Gallup, Monster and others say are important. You’ve likely come across company websites that showcase their corporate responsibility, volunteer work, environmental-friendliness and other positive traits outside of their normal operations. All of these efforts are designed to improve the company’s standing in the eyes of both customers and potential employees. Today’s job seekers want to know that a company shares their values and culture. Your website is the launching pad from which this connection is made. This information should also be provided on your “Careers” page and the landing pages you provide in your job descriptions out on the Web. Don’t be shy about the work you’ve done. If you’ve made a commitment to hiring more veterans, given to a specific charity, conducted food drives or other actions, share these. Go beyond just publishing your values and showcase them with company news and events to make your website attractive to the people who may want to work for you. Candidates often ask “what do you like about working here?” because they want to know that your environment is enjoyable. You can get ahead of this question and deliver all that information by discussing what you, as an individual, enjoy about your company and how it relates to the overall company philosophy. Stick to tangibles such as the way that the company treats you and how easy it is to collaborate and solve problems, if there’s a favorite community service activity in which you’re engaged, speak to it and how it adds to your company’s culture and values. Gallup has included “I have a best friend at work” in its core list of dimensions that describe great workgroups since the 1990s because people who agree with the sentiment report much higher levels of receiving and giving praise, making commitments to quality and feeling like their job is important. If you’ve made friends at work, it can be a positive thing to mention. People respond very positively to images on a career page, especially when they’re interesting photos. But, you get the biggest bang for your buck when you create your own. Capture people and places as they naturally happen and visitors are more likely to view you as human and want to engage with your company and your job forms. The biggest danger in these elements is the “oversell.” You need a blend of company culture, values, work, and staff to land the right candidates. The problem is that the best combination of these elements differs for each candidate. Recruiters can help you understand what a person values most because we’re able to ask before your meeting, helping you prepare and ensuring you address what’s most important to them. After the interview, we can also provide additional information to your preferred candidates, positioning you as better than the competition in areas that are important to the candidate as well as following up with benefits or discussing how you’ve followed up on interview promises with examples of career advancement, company growth and more. 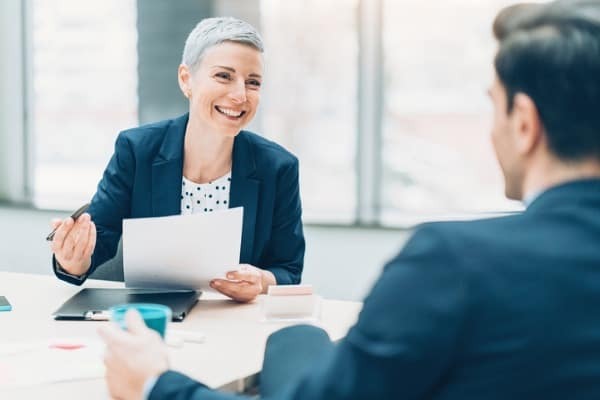 Candidates typically see recruiters as impartial representatives, so it adds an extra value and weight when we discuss your company’s benefits and how they fit with the candidate’s goals. It’s a boost you can only get from a leading recruiter who understands you, your market and the people you want to hire. When you’re ready to give your company the best opportunity possible in finding the right candidate to fit your skills needs and culture, contact The James Allen Companies, Inc. or call me directly at (573) 334-3688. Is Your Company at Risk in The War on Talent? We recently shared an interesting look at “Insurance: The War for Talent” on our Employers page, and we thought it was important enough for a deeper dive. This blog post will look at some of the chief points and concerns it addresses, plus how you can see if your company is getting caught up in this war. So, let’s get started with the meat of the issue: there’s going to be a vacuum for middle managers, and they aren’t positions the industry can afford to leave unfilled. A large majority of the insurance industry workforce is nearing retirement — and many professionals are working past the “traditional” retirement age. This means a large portion of industry knowledge rests within people who are preparing to leave. It also, unfortunately, means that many mid-level career professionals have left the insurance industry because they had little room for advancement. As other industries, from financial services to large enterprises, begun to seek out the same skills as insurance professionals, these mid-level managers had opportunities that lured them away from the insurance market. That leaves most carriers facing a knowledge gap when more than half of their senior talent leaves in the next 10 to 15 years, says Larry Pistell, Senior Associate Director of Corporate and Industry Relations at the Center for Professional Education at St. John’s University’s School of Risk Management, Insurance, and Actuarial Science(SRM). Leadership at today’s carriers consistently make decisions that involve multi-million dollar limits and sums insured. Working across an enterprise can quickly scale, so their work can quickly put you at risk if the information your leadership is working with has flaws or is not properly maintained. The information that is used to create baselines, understand trends, monitor the market, and plan for growth is typically generated at the mid-manager level. They know local and regional markets and can drill down to understand success rates and product demands, filtering the most important information and sending it up the flagpole. This worry is actually two-fold. If you start losing these employees or are forced to fill management roles with individuals who don’t understand how to look at the market, your leadership runs the risk of making a mistake by relying on improper information. Trend analysis will be skewed and may cause an improper focus. The good news is that there are multiple avenues to review and check this data so that the risk can be mitigated. What’s perhaps more important is when you are a victim of the “War on Talent” and lose people who are vital to your departments, even if not in leadership. Those with 15 to 25 years of experience who have seen trends come and go, or understand the data because of their experience, may know how to properly present information and what’s relevant to collect. Filling gaps with whomever you can find means you run the risk of skills gaps that create improper data and knowledge at the bottom levels, creating cracks in the foundation that can eventually reach all the way to the top. The “War for Talent” authors note that there are fewer than 40 formal, full-time training programs at U.S. universities and colleges that specialize in risk management and actuarial science for the insurance professional. These programs also tend to be small, with about 3,500 students each year. That’s a significant concern when you think of the thousands of baby boomers expected to still be working but ready to retire in the coming years. Unfortunately, you can’t march into your local college and demand that it teaches and trains more students and then guarantee that they’ll stick around to work for you if and when your set of positions open up. These students are going to be in demand and will likely be snapped up shortly after graduation — some may even have jobs waiting for them already after having proven themselves as a summer or winter intern. Pair that with the growing number of competitors to carriers, such as independent agents and brokers squeezing into your space, and you’re looking at a gap that will become more difficult to fill each day on your own. Every company needs a game plan to succeed in the future, but the most successful plans will break from today’s established hiring practices. Changes are already underway, and it’s not time to react, it’s time to create a proactive solution. Working with a top talent recruiter has already proven to be the best path for creating that proactive effort for large insurance carriers. The “War on Talent” is an important concern and answering its problems gets significantly easier when you find an ally who already knows how to solve what you’re facing. Losing 50% of an industry can be catastrophic when you only work internally. If you only know how to target employees already within a carrier infrastructure, then you risk competition for a small pool and losing out on all of your opportunities. Recruiters can identify talent that will be outside of this retirement boom and are in the middle of their career. We pay personal attention to your company’s needs as well as understand the needs of potential hires so that we can help you articulate your value. That allows you to target people who won’t be leaving the workforce soon and are a fit for your needs and values. By 2025, 75% of the workforce will be millennials. Carriers who are becoming leaders are already starting to adopt a millennial workforce. And, that’s great news. 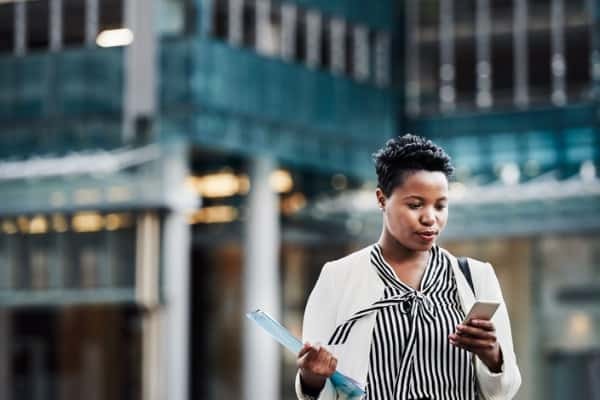 Millennials tend to rely more on technology and have a better understanding of data, but they do need more direct interaction and intervention to work with larger corporations. A recruiter can help you address this demographic that has the data understanding you need to properly prepare for multi-million-dollar business decisions because we know their habits and desires. We’ll work with them to see your value and help you understand the skills they have when they rise above their peers. Increases in competition mean you need to be more strategic about your hires. That includes looking for professionals who have the skills you desire but are in different areas, or targeting people who may not be the traditional job seeker. Recruiters can look within your competitors for someone who has the skills you need, plus we see many professionals who shift industries and find success within the insurance industry.. We know where to look for the skills you need and are always searching. So, you get the people you need who might be outside of the traditional pipeline, plus — moving back to solutions 1 and 2 — are looking for long-term companies and understand the information that’s important to your business. When you’re ready to understand and start solving the problems that face insurance carriers, by developing a proactive solution to ensuring talent pipeline, contact The James Allen Companies, Inc. or call me directly at (573) 334-3688.